British Conductor Robert Guy has established himself as one of the most exciting conductors of his generation. Robert, who hails from North Wales, was shortlisted for the Cadaqués and Besançon International Conducting Competitions, and is Artistic Director of the award winning NEW Sinfonia. As a regular Guest Conductor to the Manchester Camerata, Robert has worked with Tine Thing Helseth, recorded for Sony Playstation and conducted a new commission by Philip Venables for Manchester International Festival. Robert is part of the creative partnership team as conductor between Welsh National Opera, North Wales International Music Festival and the NEW Sinfonia. Highlights for this season include making his debut at the Mozarteum Orchestrahaus in Salzburg conducting the Honor Chamber String Orchestra, conducting the world premiere of Rebecca Dale’s Requiem Materna, making his debut with the Orchestra of Opera North in new music by Kevin Malone and continuing his work with Manchester Camerata. Other notable career highlights include conducting the Astana Opera Orchestra in Kazakhstan hosted by Haileybury Astana. In 2016, Robert was Conductor in Residence at the Inspire Arts Festival hosted by NLCS held in Jeju, South Korea and made his debut at St David’s Hall Cardiff, working with Allen Vizzutti in the gala concert of the ‘Arcomis International Brass Festival’. 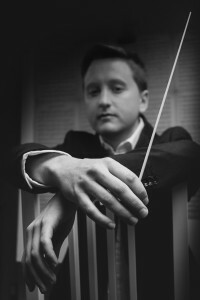 He has acted as Assistant Conductor to the Britten-Pears Orchestra with Kirill Karabits. Robert was also chosen to work with the Berliner Philharmoniker Ensemble at the ‘Conductors Lab’ in Aix-en-Provence, Berlin Sinfonietta with Michail Jurowski, Scottish Chamber Orchestra with Sian Edwards and Charles Peebles, and the Schleswig-Holstein Chamber Choir in Lübeck with Simon Halsey and Nicholas Fink. Originally from Yorkshire, Anna Beresford has played with ensembles such as the National Youth Chamber Orchestra, Vacation Chamber Orchestra and Lancashire Chamber Orchestra. 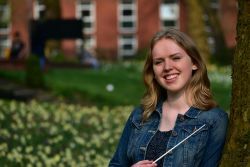 Now in her final year at the University of Manchester, Anna studies cello with Jennifer Langridge and conducting with Mark Heron and Robert Guy. Her path into studying conducting has led her to take part in classes from Ben Crick, Ewa Strusinska, Simon Wright and Alice Farnham. Anna has worked as a guest conductor for Alderley Edge Orchestra and the North Yorkshire County Youth Orchestra. In September 2018, she took part in a 3-day conducting workshop with the BBC Philhamonic, with nine other invited conductors, working on Elgar’s Variations and Copland’s Appalachian Spring. Anna is currently studying with Sian Edwards at the Royal Academy of Music as part of the Sorrell Women Conductors Programme. Originally hailing from Edinburgh, Scotland, Hannah Elliott is now in her second year studying music at the University of Manchester. One of Hannah’s musical highlights is playing the first movement of Rachmaninov’s Second Piano Concerto in the Usher Hall in her final year of school, and she is continuing her piano studies in Manchester with Richard Casey. She has also played violin with ensembles such as the University of Manchester Symphony Orchestra and the Edinburgh Youth Orchestra under the baton of conductors such as Sian Edwards, Donald Runnicles and En Shao. 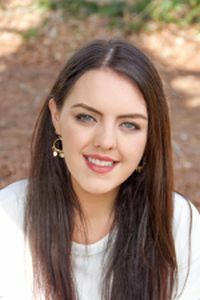 Hannah is also a keen singer, learning with Catherine Mikic and singing with the two university chamber choirs, The Cosmo Singers (soprano) and Ad Solem (deputy soprano). 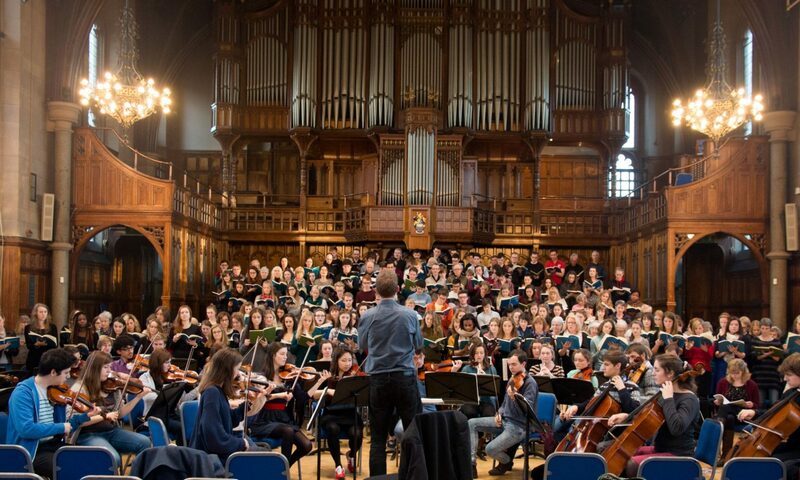 This love of singing inspired her to audition for the choral conducting programme run by the university and she is now enjoying being one of four choral conductors for The Cosmo Singers, Ad Solem and Manchester University Chorus. She is also enrolled in the conducting module as part of her degree, led by Robert Guy. Jack Redman is building a strong reputation as an emerging composer, pianist, organist and bass singer, currently studying on the GRNCM/MusB ‘joint course’ between the Royal Northern College of Music and the Universityof Manchester. Recent compositions include a choral motet for Lancing College Choir, May the Mind of Christ My Saviour, performed on the BBC Radio 4 Sunday Worship programme. He studies composition with Emily Howard at the RNCM. He also directs and plays organ for the Sunday Eucharist at Holy Name Church, Manchester. 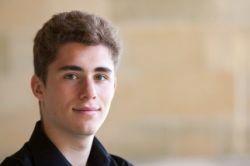 Aiming to progress his pianistic skills both as a soloist and accompanist, he is tutored by Tom Scott at Manchester University. Jack enjoys working with other performers, recently accompanying many University students for their undergraduate recitals, as well as frequently playing in ensembles. Currently, Jack is seeking to expand his compositional output, as well as building his piano and organ repertoire, particularly contemporary pieces. Clara Rundell, 21, is a first study cellist from Manchester. As a cellist, Clara has played with a number of ensembles. Most notably she was the principal cellist of Stockport Youth Orchestra and Hallé Youth Orchestra. 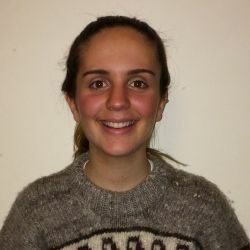 Clara is also an active member of the University Music Society and has performed with their Symphony Orchestra, Chamber Orchestra, Baroque Orchestra, Wind Orchestra and Choirs. In her final years at school, Clara set up and conducted her own vocal ensemble and Jazz band. Now, in her final year of University, Clara is studying the cello with Jennifer Langridge and conducting with Robert Guy. As a choral conductor at the university, Clara regularly conducts the Cosmo Singers and Ad Solem, as well as assisting with the University Chorus.